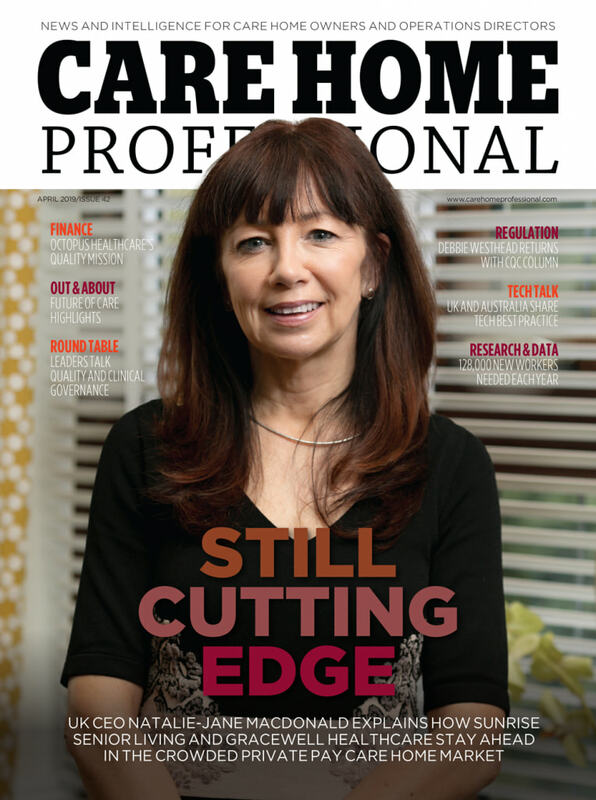 Managing director Joan Elliott shares how Bupa has continued to drive up standards and quality following its sale of care homes last year to HC-One and Advinia Health Care. 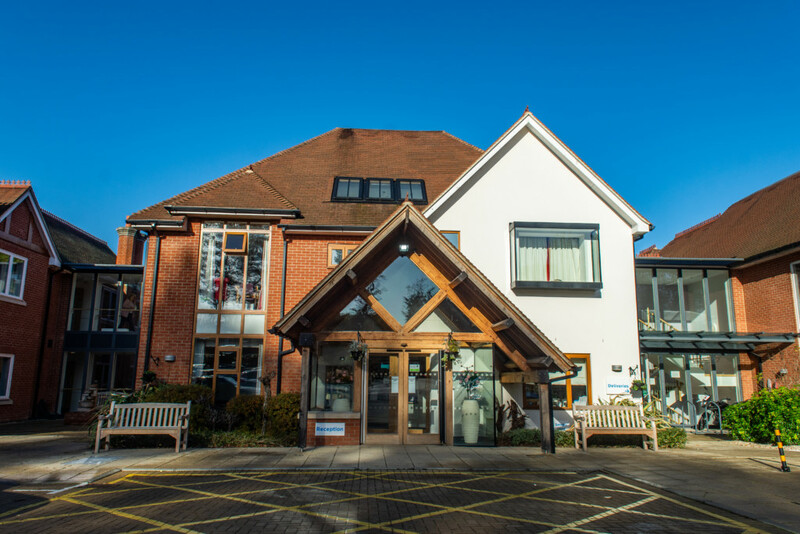 The sale of a combined 132 homes to HC-One and Advinia Health Care resulted in Bupa’s care home operations halving in size, although the care provider is growing its number of Richmond brand, luxury retirement villages. “We wanted to have a smaller footprint so we could maintain good quality care, not just now but in the future,” Joan told CHP. The sale of the homes saw the repositioning of Bupa’s footprint to a largely English service, with the provider now only having a handful of services in Scotland and Wales. “Operationally we are now much closer to the homes and can get to them much more quickly,” Joan said. Joan said Bupa’s proportion of services rated ‘good’ or ‘outstanding’ was now at 81%, 9.5 percentage points higher than the market average for providers with a similar range of services. “For our care homes we are now broadly the right size, though we will build some new ones over time,” Joan noted. “Rather than growing in scale, we’re focusing on growing the quality and the customer experience that people have in our care homes. A major focus for Bupa’s slimmed down operation is the provision of high quality dementia care. 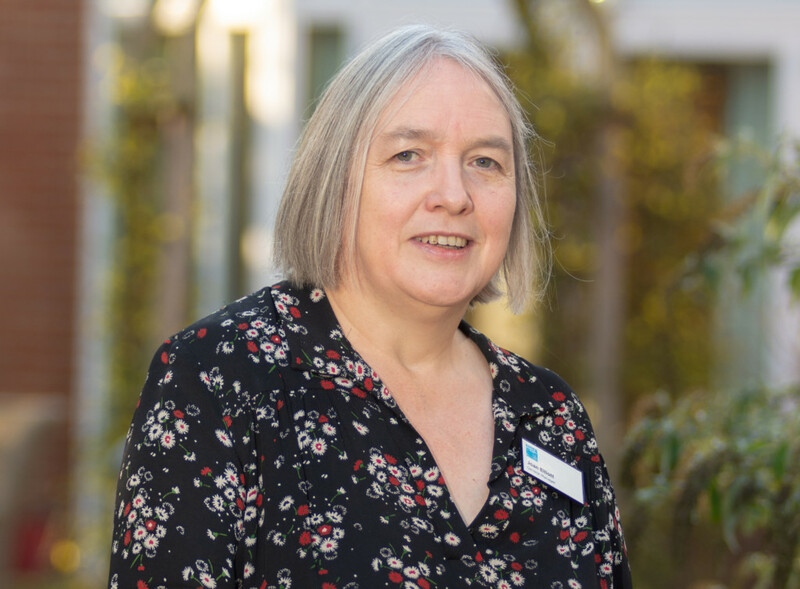 A key first move following its restructuring was to appoint Aileen Waton as its new Head of Dementia and Professional Standards. “Aileen joined us as a nurse and worked her way up to an operational managing director role, so she has great experience in the sector, and is perfectly suited to review our approach to dementia care,” Joan said. Bupa’s dementia strategy is geared towards providing a personalised service for residents through finding out their individual preferences and stories, and tailoring care around these. Training also plays a critical role in Bupa’s dementia care offering. Bupa works with the University of Bradford to ensure its dementia care is as good as it possibly can be. Joan’s senior team also recently completed an experiential dementia training course that simulates the conditions of people living with the condition. The care provider has also been working with the University of Stirling to ensure its environments are compliant with dementia design standards, and is currently introducing dementia-friendly signage, cutlery and menus. Providing meaningful activities has been another focus of Bupa’s drive to improve quality. As part of its #nevertoolate wish granting scheme, homes help residents achieve things they’ve long dreamt of – whether that’s a brand new experience or something they miss from days gone by. In one example, a home helped residents follow in the footsteps of Royalty, after arranging a horse-drawn carriage ride for residents inspired by Harry and Meghan’s Royal Wedding. Elsewhere, other homes have helped RAF veterans take to the skies once more. 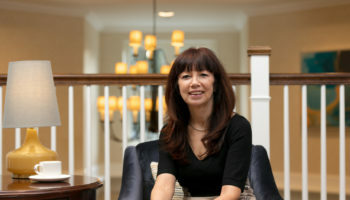 Providing a high quality workforce is another key focus for Joan and her team. Bupa is investing heavily in training and development as well as introducing nurse scholarships and a training bursary programme for nurses, worth up to £10,000. Increasing engagement with its nursing workforce has been a further priority with the provider celebrating its Year of the Nurse in 2017. 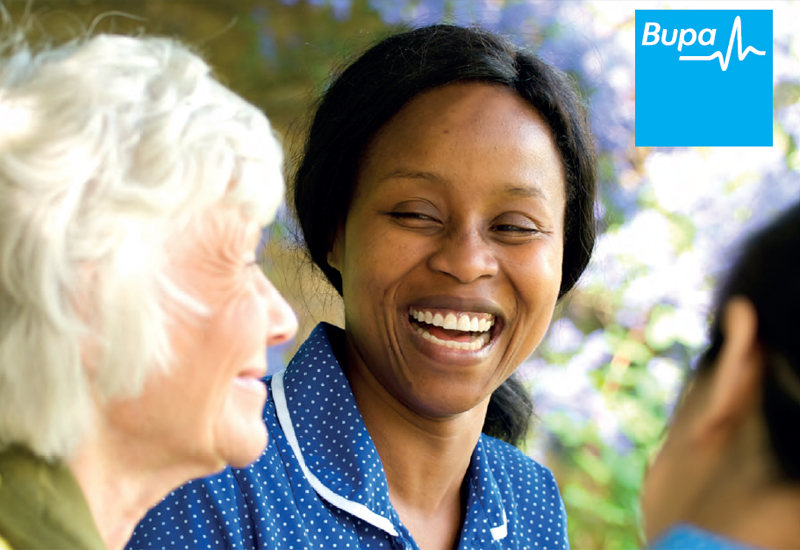 Bupa also offers a market-leading £5,000 bonus paid over three years in a bid to attract new nurses and has launched a Care Practitioner Apprenticeship – designed to help the progression of carers – to help fill gaps in recruitment. The provider signed up around 50 carers to the 18-month programme last year and is targeting a further 100 recruits in the year ahead. “It protects us from the shortage of nurses but also offers a great career development opportunity,” Joan told CHP. Bupa is also a big advocate of upskilling colleagues, with nearly 700 colleagues in the business currently on apprenticeships – from entry level roles through to management. It’s also a member of the Movement to Work programme which offers employment opportunities to younger people not in work, education or training. “It’s really important to open up social care to a wider range of people,” Joan said. The group’s values include promoting diversity and inclusion through the ‘Everyone’s Welcome’ at Bupa initiative. It has been sharing some of the inspiring stories of how people have developed their career within the organisation to help boost recruitment. “We have an amazing number of home managers who came in as carers,” Joan highlighted. 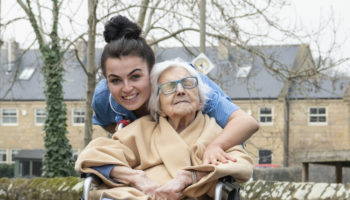 One such colleague is Sarah Mair, home manager at Bupa’s The Arkley care home in north London, who was recently named Lifetimes Health and Social Care Apprentice of the Year. Major efforts have also been put into improving Bupa’s on-boarding process in order to make staff feel welcome so that they want to stay. As part of their induction process, home managers work under the guidance and support of an experienced manager in another home for a month. “We want people to be really comfortable with things like our assurance systems and complaint systems,” Joan said. Each of Bupa’s senior leadership team is also assigned to mentor a home manager for six months. “It offers the mentee access to someone other than their line manager, so they can take a breath and talk about anything on their mind,” Joan said. Employee engagement is closely monitored with two surveys held each year. “Engagement scores are really good,” Joan noted. The provider is making inroads in reducing its agency usage, which currently stands at 4% of worked hours. “Agency use has come down but I would like it down further,” Joan said. Looking at staffing, Joan acknowledges that it can be challenging, including in affluent areas that are less accessible via public transport. Given this climate, Bupa carries out detailed analysis on workforce access for any new builds. A digital rota system has been introduced across the business to help with staff management. In another innovation, exit interviews are carried out to find out why people leave. “We have seen a marked improvement in retention in the regions we have done this and intend to roll it out elsewhere,” Joan said. Staff turnover stands at around 30% for carers and 35% for nurses, broadly in line with the overall market. “We look at that by home and region to understand why it is better in some areas so we can share good practice,” Joan commented. Joan confided that the workforce impact of Brexit remained a concern. Around 12% of Bupa’s workforce is from the EU, with another 13% coming from other overseas nations. “We are really pleased to see the settled status pilot being open to health and social care workers,” Joan said. The managing director also welcomed the cap being removed from Tier 2 visa applications for nurses. On the downside, Joan said the potential cap on low skills workers was a real worry. “That would have a huge impact on recruitment for the social care market,” she noted. Looking to the future, Bupa plans to begin trials of a digital care planning system next year. “It’s a big change,” Joan said. “You can’t just put a system in. We have to change all our processes. We are talking to a couple of providers. Joan said Bupa plans to introduce e-medication at the same time as digital care planning so that the two systems can work together. “Getting homes onto systems where everything is in one place will definitely make our processes more effective,” she said. Growing the Richmond Villages portfolio will be a further major focus going forward. Joan and her team are currently considering bringing in a land acquisition specialist next year to accelerate new development. “We continue to look for the opportunities for new sites and expand our existing villages,” Joan said. The typical village model features 80 independent living, 60 care home and 45 assisted living beds. Homes are offered on a buy or let basis with some rooms being offered for short-term respite care. “The proposition in Richmond is amazing,” Joan said. 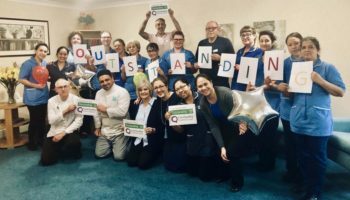 “We are able to offer people the full range of care services, covering the complete care journey from independent living to assisted living, and then to care homes. 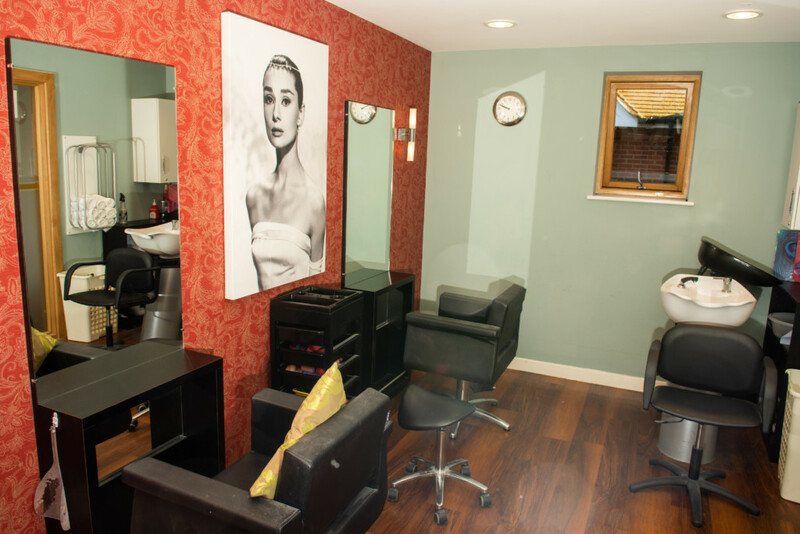 Premium features include spas and swimming pools as well as fine dining and activities open to the wider community. “Our villages are part of the community in which they operate,” Joan highlighted. Bupa bought Richmond with five existing villages in 2013 and has since opened a further two villages, with a third due to open in Wood Norton next year. Future plans include the construction of a specialist dementia development in Willaston, due for completion in 2020, which is close to the Nantwich Richmond village. “There’s been a real opportunity to take all our dementia learning and make sure the design is absolutely spot on for that market,” Joan said. The dementia development, which is informed by the Dutch De Hogeweyk model, consists of six pods of six people who are supported with their household tasks.